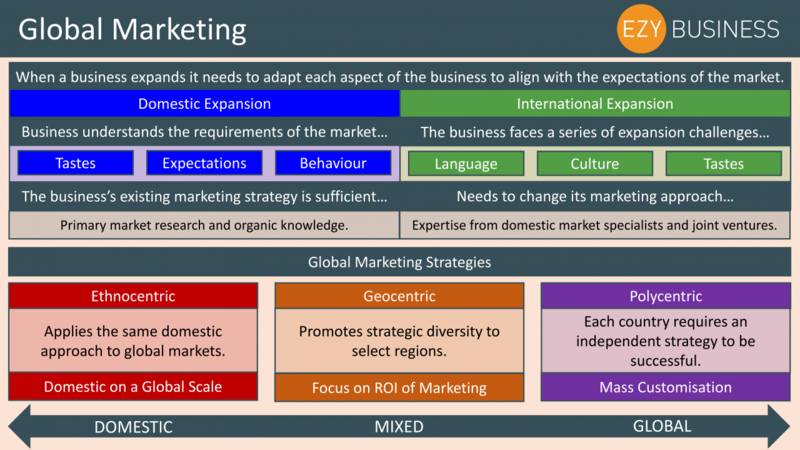 On day 29 of the Year 13 Recap we discuss why and how a firm can change its marketing strategy to aid the effectiveness of international expansion into unknown markets. 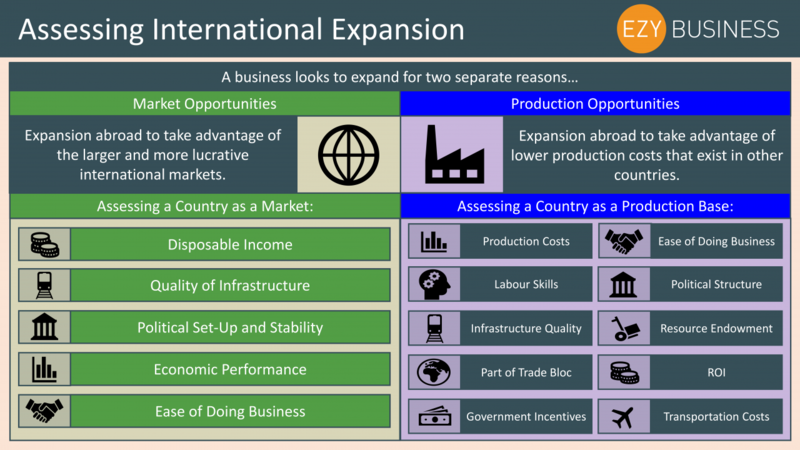 When a business expands internationally into a new market the focus is placed on the benefits that this will generate for that firm. However, there are lots of examples of firms in the past that have tried to be too ambitious too quickly and have had to retrench shortly after expansion due to the failings of the move. On day 28 of the Year 13 Recap we assess the motives behind international expansion from an individual firm’s perspective. Often the focus can be on a firm’s desire to expand internationally to sell a broader customer base that has not been exposed to the firm’s products and services. However, just as tempting for a business is to expand internationally to exploit cost advantages on the production side of the business. 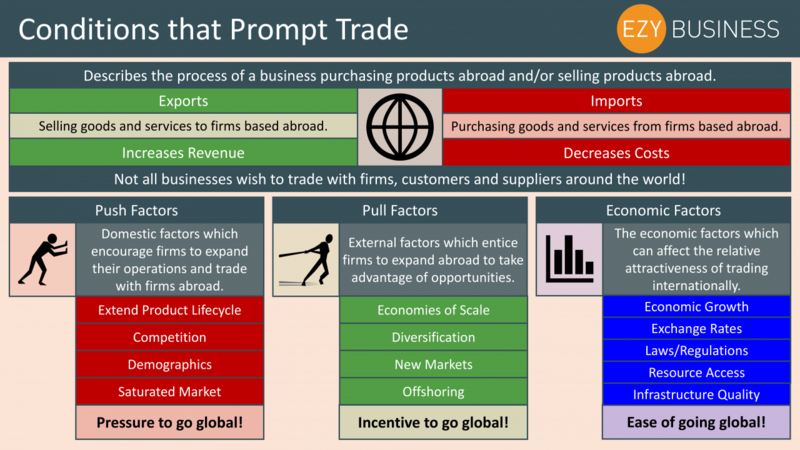 On day 27 of the Year 13 Recap we discuss the conditions that prompt business to trade with customers, suppliers and other business in different countries. For many businesses there becomes a limit to just how far a business can progress within the realms of their own domestic customer base. Therefore, the easiest growth opportunities that a business can exploit in a globalised world is to expand into other international markets. 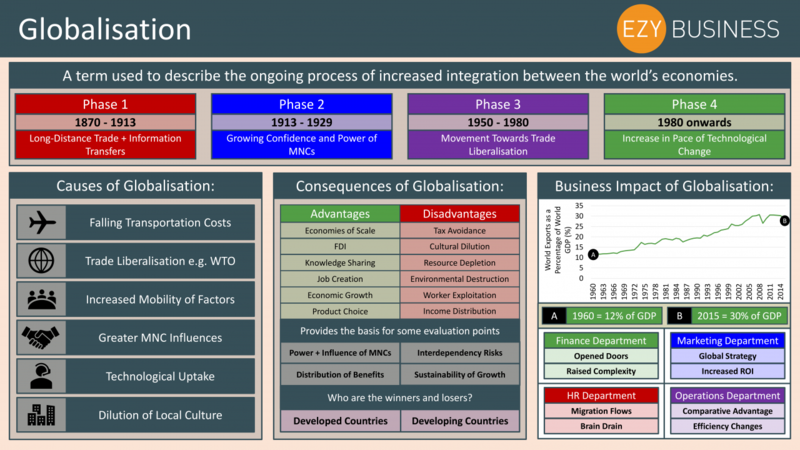 On day 26 of the Year 13 Recap we turn our attention towards the global aspect of business and a good place to start is with the concept of globalisation. Globalisation is a term which is used to explain how individual economies have moved away from their localised specialities towards a more global approach. Globalisation has fielded a series of advantages for firms, be that small or large, through the reduction in transportation costs and trade barriers. On day 25 of the Year 13 Recap we review some of the most important financial ratios that businesses use to provide evidence of business progression. Financial ratios are commonly used as a summative checkpoint of how a business is progressing in relation to its own corporate objectives. 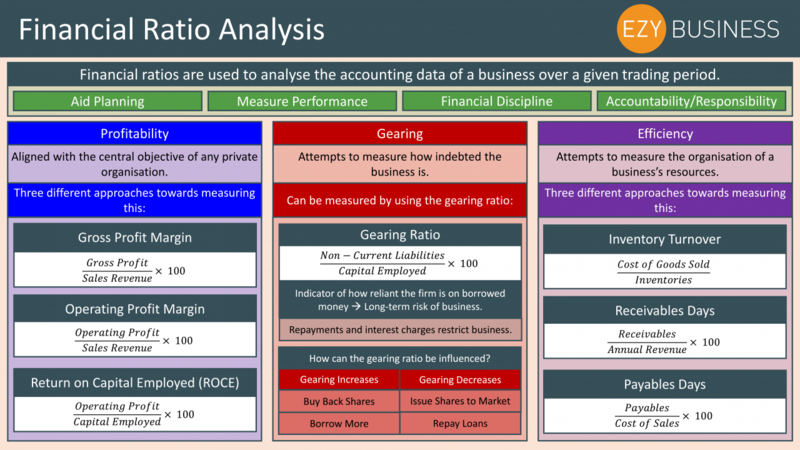 Financial ratios are wide-ranging and can cover all sorts of ground. As profit is the central objective for many businesses it is important, particularly for investors, that financial ratios are aligned towards measuring the profitability of the business’s core proposition. 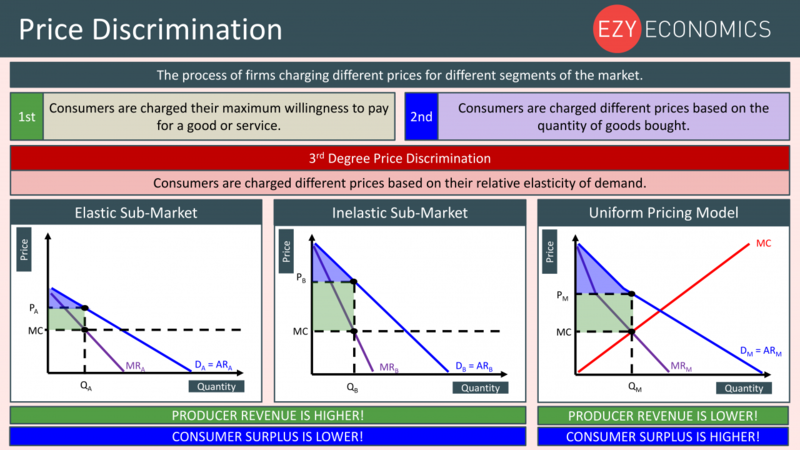 On day 24 of the Year 13 Recap we review liquidity ratios and discuss the pros and cons of these financial ratios. 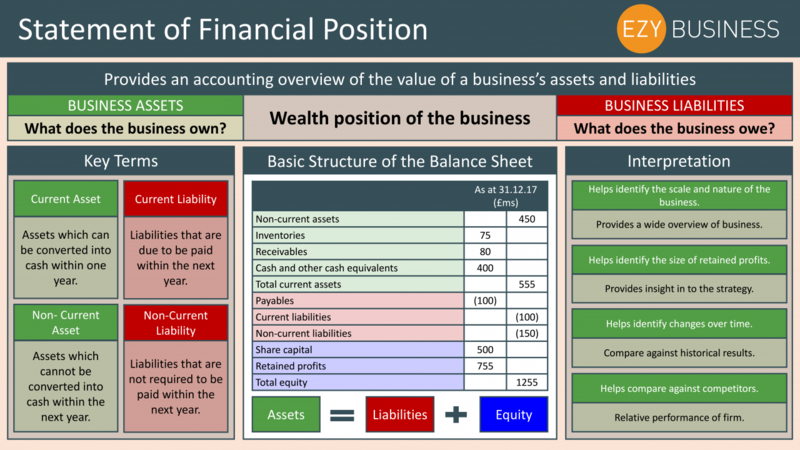 The statement of financial position for a business summarises what the business owns (assets) and what the business owes (liabilities). The short-term health of a business is determined by how effectively the business can meet its liabilities which are due to be paid over the current trading year. 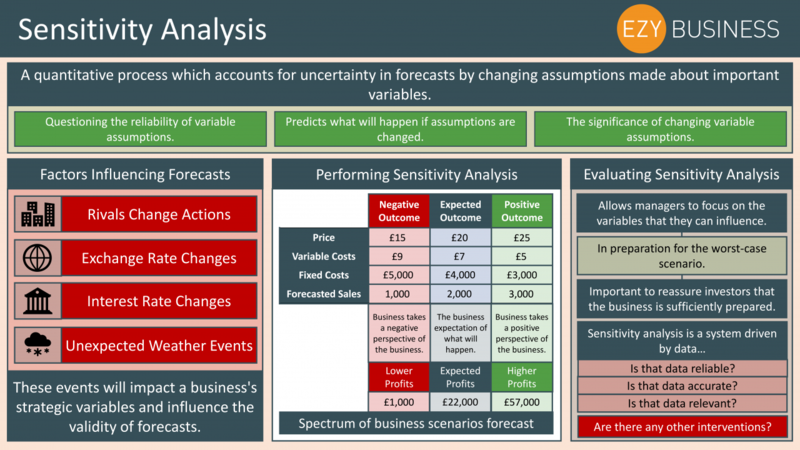 On day 23 of the Year 13 Recap we review the concept of sensitivity analysis and explain why it is important for all businesses to prepare for the uncertainty in business outcomes. 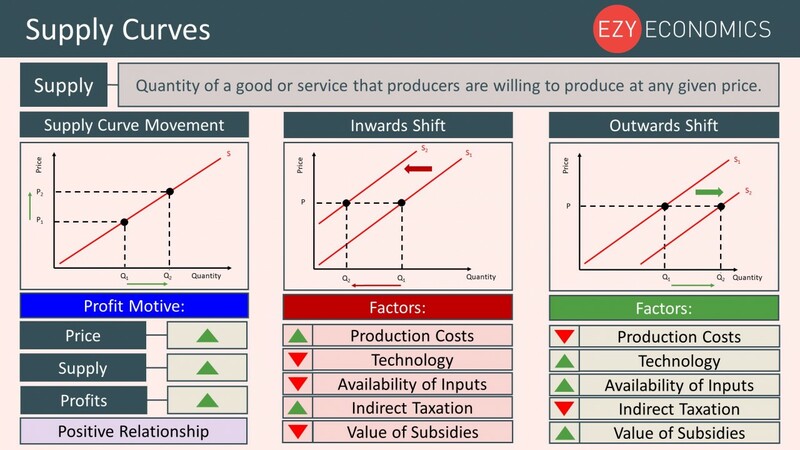 When a business makes forecasts about their expected performance in the marketplace, they need to make key assumptions regarding the key market variables such as the expected quantity sold, the expected costs of production and other factors relating to market dynamics. 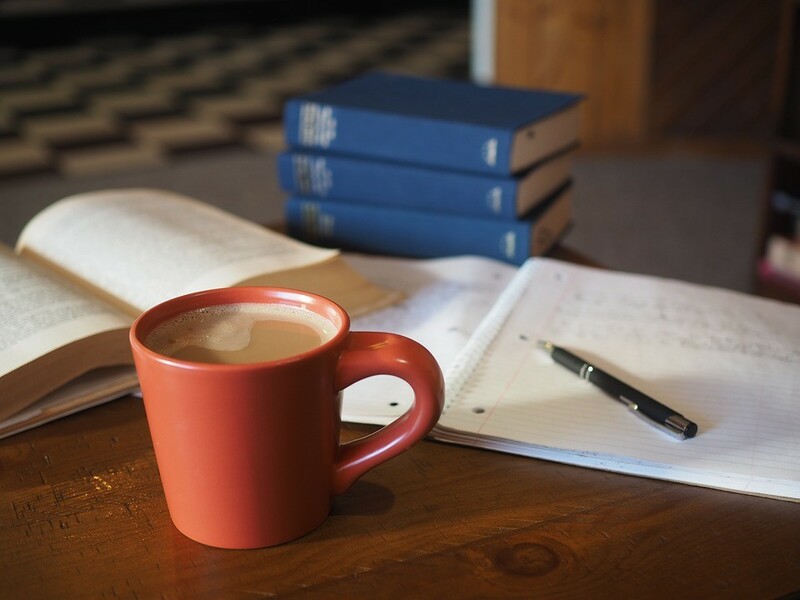 On day 22 of the Year 13 Recap, we review the statement of comprehensive income (income statement) and what stakeholders of the business can learn from looking at it. 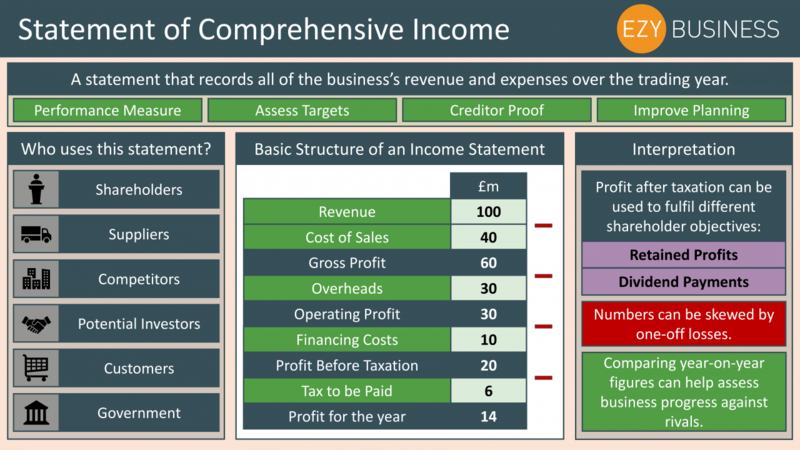 The statement of comprehensive income is a financial document that summarises the ins and the outs in relation to a business’s cash flow over the course of the trading year. 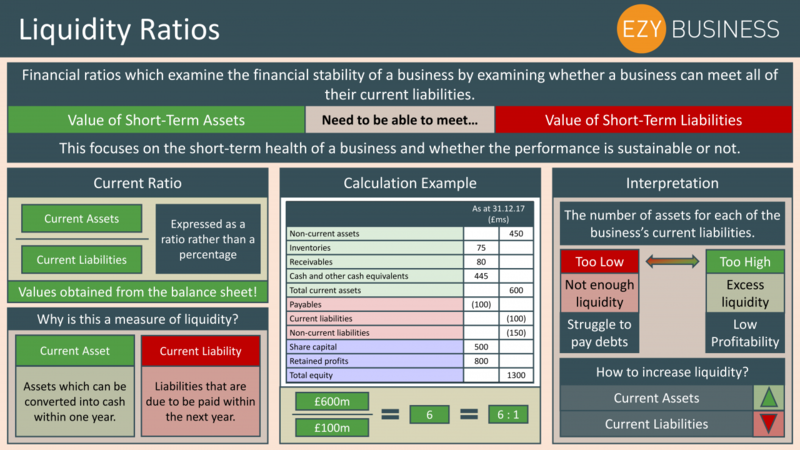 On Day 21 of the Year 13 Recap we review the basic aspects of the statement of financial position (balance sheet). For businesses, the statement of financial position is one of the most important accounts produced over the course of the trading year. This is because it represents a financial snapshot of the wealth position of that business over the year and importantly focuses on three important elements – assets, liabilities, and capital. 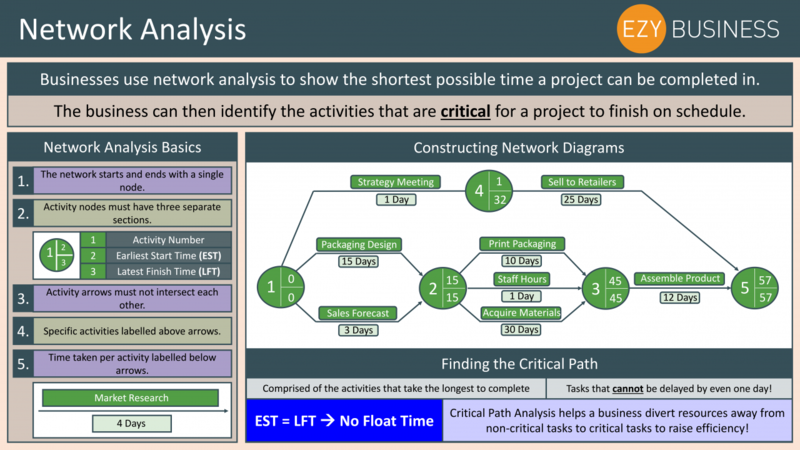 On Day 20 of the Year 13 Recap we recap the basics of network analysis diagrams and how they can be used to identify the critical path of projects. 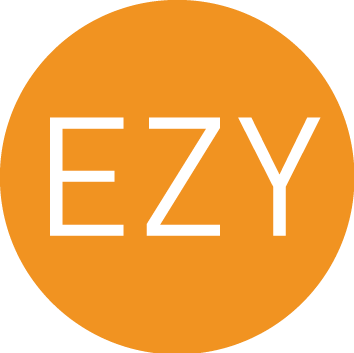 Project management is a term that relates to how efficiently and effectively businesses can run a project, and crucially, the ability of the firm to deliver the project on time. The bigger a business becomes, the bigger the scale and might of their projects. 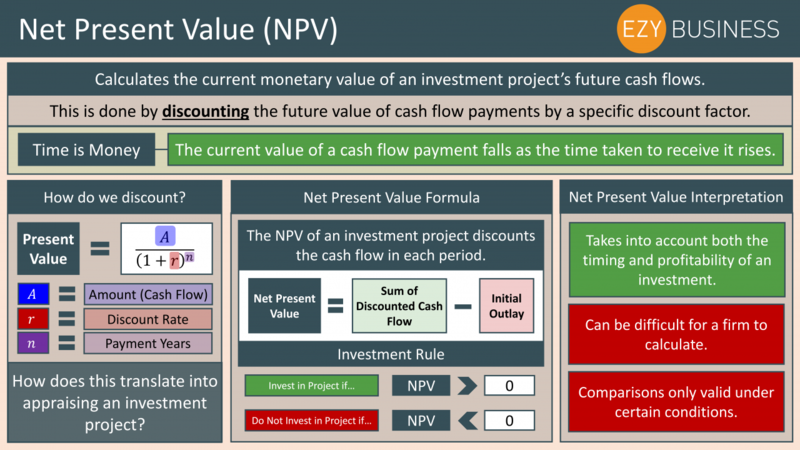 On day 19 of the Year 13 Recap we focus on the Net Present Value which is the final recognised investment appraisal method in A-level Business. How often have you heard the phrase ‘Time is Money’? Well, this phrase links succinctly into finding the net present value of an investment project. This is because a fixed sum of money today is always worth more to an individual than the same fixed sum of money in a years time. 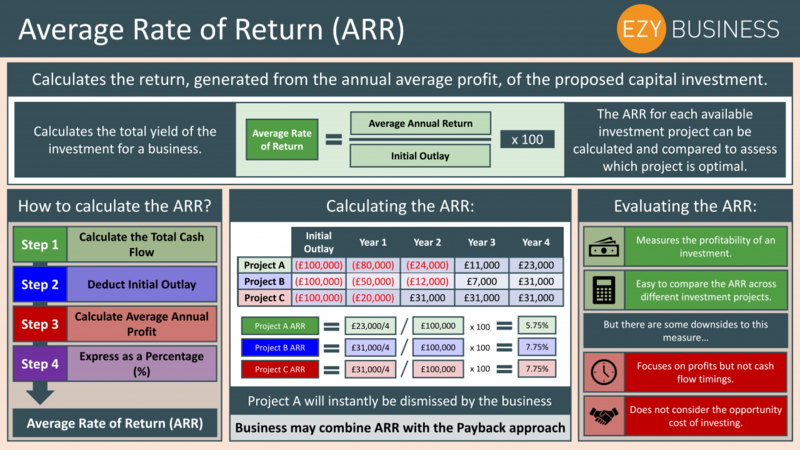 On day 18 of the Year 13 Recap we are turning our attention to the second of three investment appraisal procedures - Average Rate of Return (ARR). 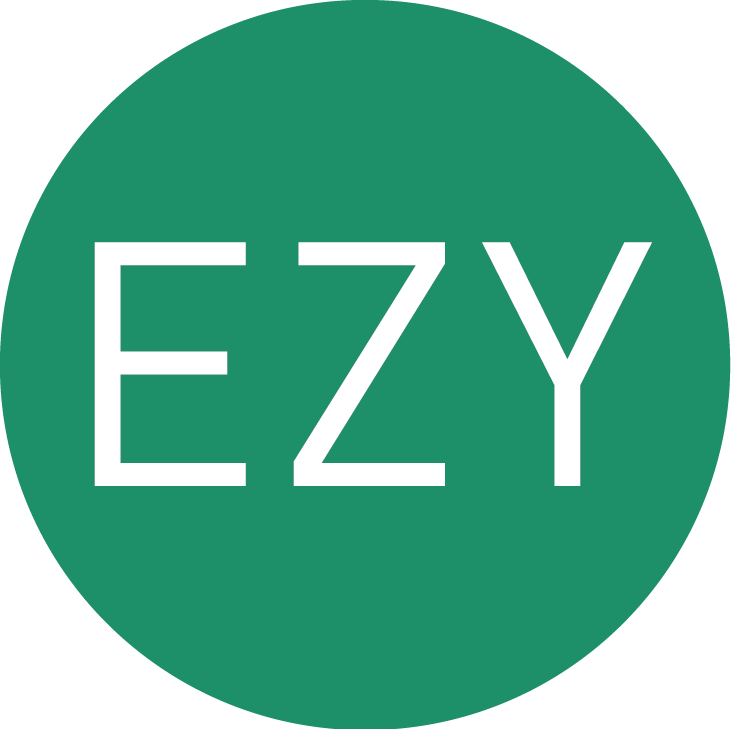 The ARR of an investment project is a procedure used by businesses to try and quantify the profitability of an investment project undertaken. 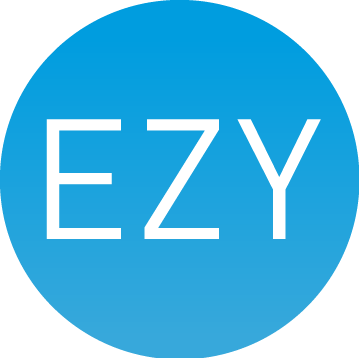 This done by dividing the total return the project is expected to generate by the number of years the investment will last for. 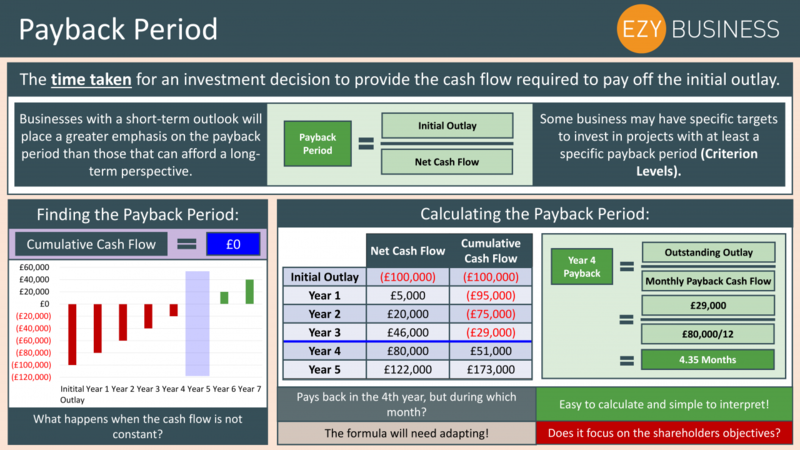 On day 17 of the Year 13 Recap we begin our review of investment appraisal methods with payback periods. A business can never be sure that an investment will generate the returns that are expected to generate. This can often complicate the decision-making process behind investing because businesses have many alternative projects to invest in, but only enough resources to invest in one. 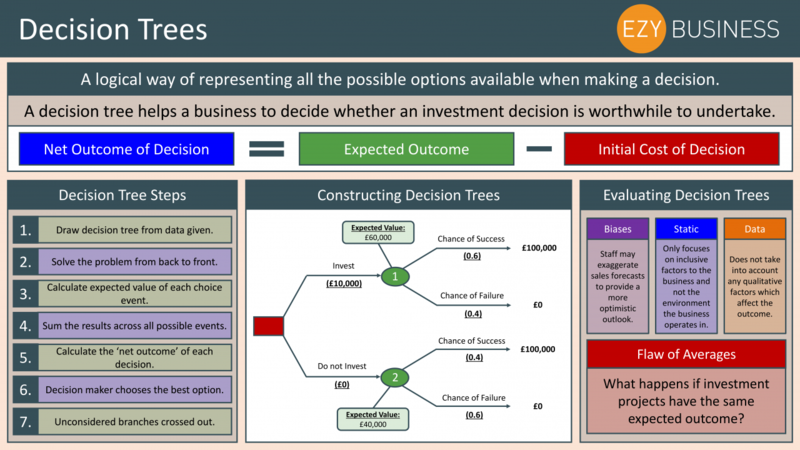 On day 16 of the Year 13 recap we review the basics behind constructing decision trees and how they can be used to aid investment appraisals. Nothing is ever certain in business. When a business has a range of different investment opportunities to undertake, tough decisions must be made regarding which project the business should allocate their resources to. 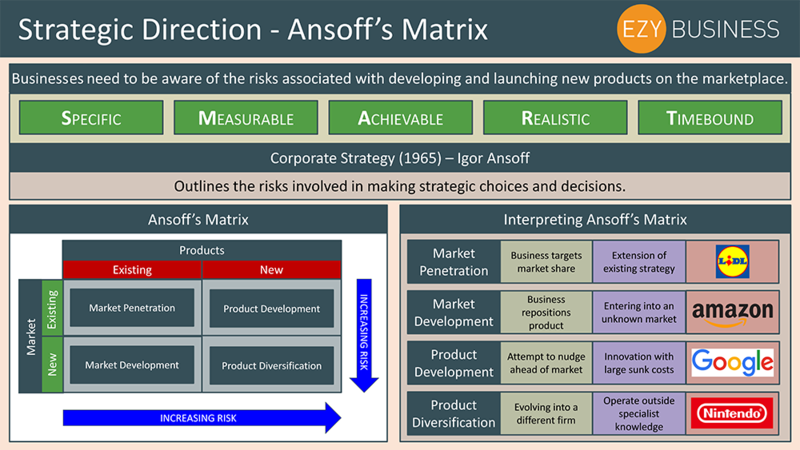 On day 15 of our Year 13 recap we review Ansoff’s Matrix and how it can be applied to outline the risks involved in making strategic choices and decisions. The challenge for a lot of businesses is how to stay relevant in an ever-changing competitive environment. Businesses are often tasked with having to invent and launch new products to the market or improve their existing product range. 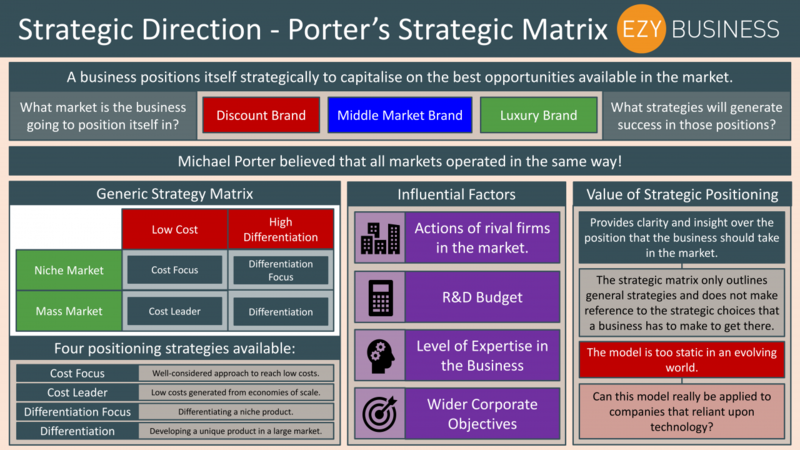 On day 14 of the Year 13 Recap we review the general business strategies outlined in Porter’s Strategic Matrix. Whenever a business is designing and implementing a strategy, the management team of a business need to decide upon the direction that the business wants to take to succeed in achieving that strategy. Often, this involves a business working out where it is going to position itself in the marketplace in relation to its targeted customer base. Michael Porter stated that there are four general strategies available to any business in any industry. 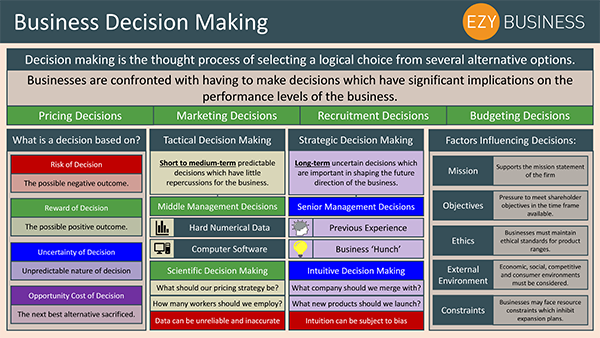 The matrix is used by businesses as a framework for identifying the strategic position they will be taking going forward. On day 13 of the Year 13 Recap we review the role that digital technology plays in helping businesses develop and become more competitive in the marketplace. 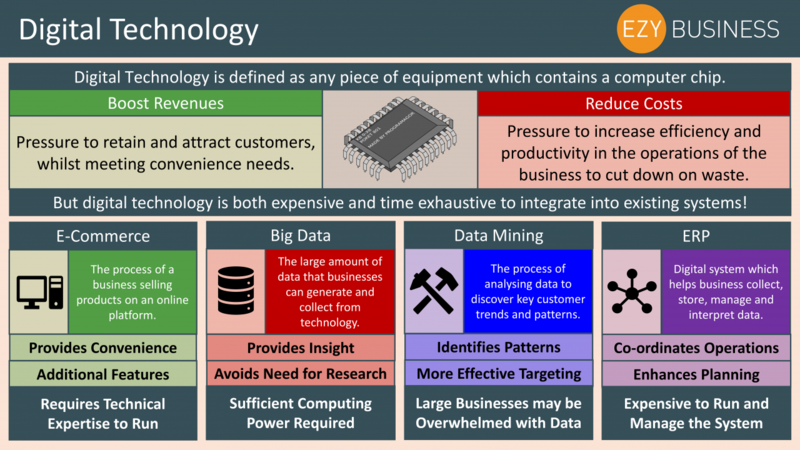 Digital technology might sound like a rather abstract term, but it essentially refers to any piece of equipment that a business uses which contains a computer chip. On day 12 of the Year 13 recap we focus on the innovation pressures that business face and the different approaches a business can take to encourage innovation within the business. 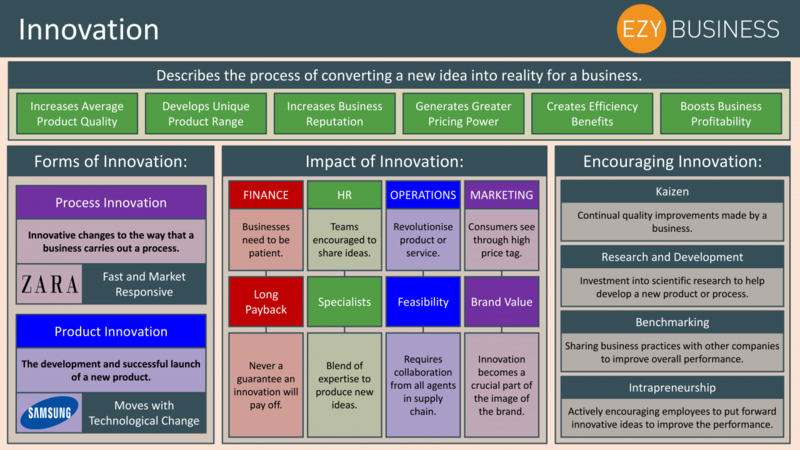 Innovation drives improvements in product standards and helps a business source a selection of different cost efficiencies, through improvements in the production process. 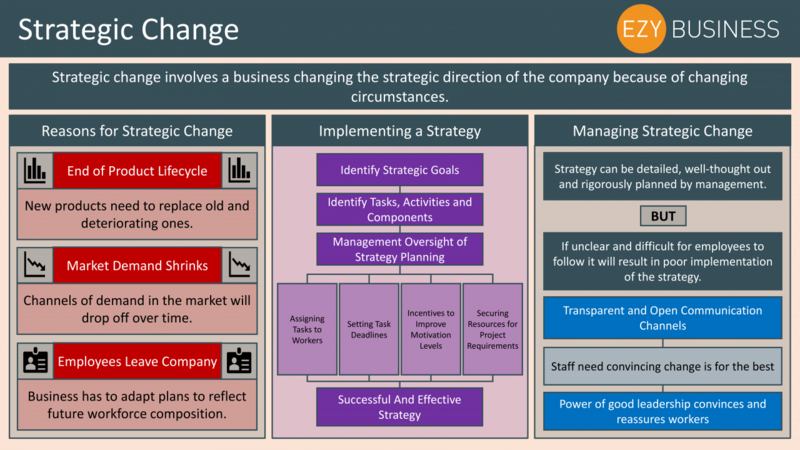 On Day 11 of the Year 13 recap, we review the factors that can cause strategic change within a business. Change can be disruptive, in the sense, that it can destabilise the processes and operations of a business and unsettle staff members along the way. 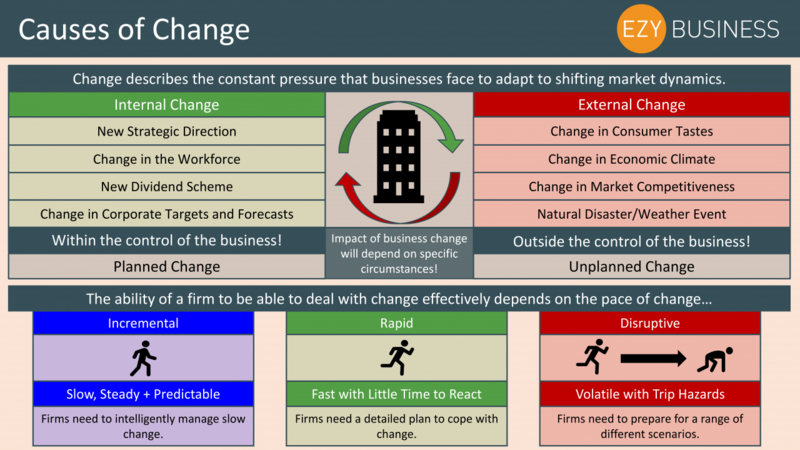 On day 10 of the Year 13 recap we review the disruption that is caused when a business must commit to making a strategic change. The environment in which businesses operate, both internally and externally, is constantly changing and evolving. This means that a business cannot maintain a static strategy, it must be prepared to make changes to its existing strategy to react to the changing market conditions.